Hi everyone! My name is Samantha Wind, and I am a rising sophomore and a prospective civil engineering major in the Pratt School of Engineering at Duke. 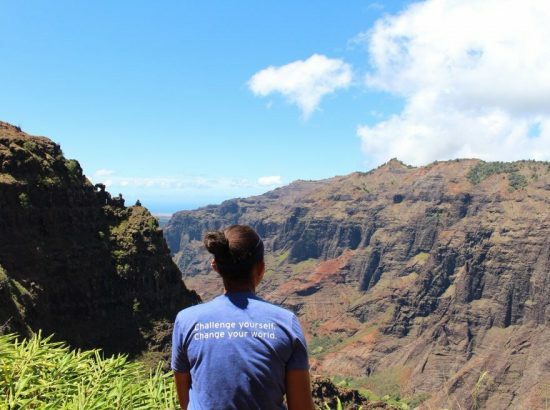 I am also a project engineer with Duke Engineers for International Development (DEID), a student-run organization that is dedicated to completing high impact, sustainable engineering projects that are desperately needed in developing communities. Projects are chosen based on their ability to address systemic risks through the implementation of appropriate, sustainable technology. This year, I have had the privilege of working on DEID’s DukeEngage Independent Project in Manantenina, Madagascar. Manantenina is a small village of approximately 1,300 people bordering the Marojejy National Park, where the Duke Lemur Center has devoted tireless efforts to preserving the natural environment. One of the most pressing issues facing Manantenina and the surrounding area is the lack of access to clean water. Currently, Manantenina primary source of water is the Manantenina river, which flows adjacent to the village. Unfortunately, this river is used upstream to fulfill the needs of another town, whose livestock walk through and defecate in the river. Without other options, residents of Manantenina use this water for washing clothes, bathing, cooking, and even drinking, exposing them to harmful waterborne diseases and furthering the escalation of a dire public health crisis. The Fokontany (president) of the village estimated that the average person gets sick from drinking river water once a month during the rainy season and once a week during the dry season. In addition to illness, this situation limits the villagers’ economic outcomes and fuels gender inequality; fetching water is considered “women’s work,” and the trek to the river forces women to sacrifice opportunities for employment as they spend large portions of the day fetching water. Our project’s primary goals are to implement a water distribution network in Manantenina and to catalyze the process of establishing a water committee in Manantenina that best suits the social, cultural, and political dynamics of the community (rather than imposing a western model of governance). The committee will ensure the system’s long-term sustainability by enforcing rules established to protect the taps and pipeline, collecting taxes for maintenance expenses, and financing repairs. Through our efforts in collaboration with our community partners and the people of Manantenina, we hope to provide Manantenina with a stable source of clean water that will serve the community for years to come, foster community development, and bring prosperity to the people of Manantenina.